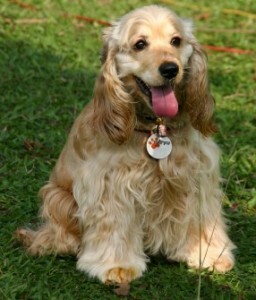 Cataracts are common is certain dog breeds at any age. A cataract is a partial or complete clouding of the lens in the eye that can cause blindness. Most cataracts are genetic but some diseases and medications may cause them. Lenticular scelrosis is a normal clouding of the lens, generally a light blue or white tint as the dog ages but this generally does not effect vision. This condition is common and what is known as “old dog cataracts” or “false cataracts.” Your vet may be able to see the cataract on the eye exam depending on its size. The good news is that often smaller cataracts go unnoticed but do not cause any major visual problems. If you are concerned that your dog has cataracts, discuss this with your vet or you may want to have an Opthomologist do an exam. Great hot country and the classics on CONSTANT COUNTRY KRS is on THE EDGEWATER INTERNET RADIO NETWORK! Listen now! Even though cats are predators , they can be high strung. They are always on their guard. Things like sudden movements, loud noises, thunder, even music can frighten them. Some cats can be more high strung than others. 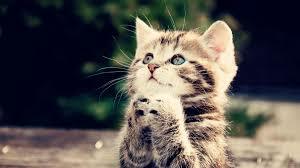 Watch how this adorable kitten reacts when he encounter a couple of iguanas. Listen to a large variety of oldies on the EDGEWATER RADIO . Great radio all the time on THE EDGEWATER INTERNET RADIO NETWORK! Does Your Cat Use His Scratching Post? We all go through it with our healthy cats. Healthy cats have healthy claws which means furniture destruction. All cats need to scratch and if you do not provide them with their own place, they will choose places on their own. Places you don’t want them to ruin. I have a cat who decided to scratch on one of my oriental rugs. The solution is to buy a good cat scratching post and train your cat to use it. Unfortunately many people buy a scratching post that their cat never touches. Do not buy a flimsy, light scratching post with thin soft carpeting. They will never use it and continue ruining your furniture. The best posts are covered with a hemp product called “sisal.” It looks like thick twine wrapped around the pole. Cats love to dig their claws into this! The post should have a large, heavy post. Make sure is tall enough for your cat and make sure that it is study enough as not to tip over. Make sure that the scratching post is in a pleasant, accessable location. It’s a good idea to place the post in your cats sleeping area. Also place it where there are people. Don’t put it in a corner in the basement. Your cat will not use it. It’s a good idea to have several posts in different rooms of your home. 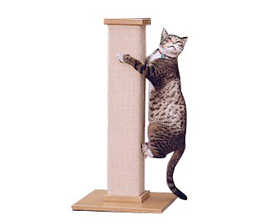 A good scratching post will save you the headache of replacing your furniture. If you’re at work, why not make your day go a bit faster with some of our great stations on THE EDGEWATER INTERNET RADIO NETWORK? Do Dogs Get Prostate Problems Like Humans? A dogs prostate can become enlarged just as humans can. When a dogs prostate becomes enlarged,it becomes pre-exposed to cysts and infections. How can you tell if your dog has a problem with his prostate? Check to see if he strains to urinate and also check to see if there’s blood in his urine. In severe cases, a dog may become ill or even collapse. Prostatic disease is most common in non-neutered dogs. Mary McClouglin, a small animal surgeon at Ohio State University recommends that all male dogs get checked for prostate problems. 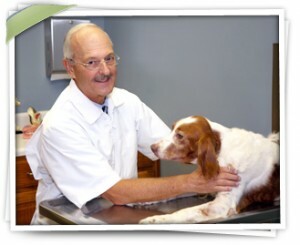 Your vet will determine whether or not the prostate is enlarged, in the right place and the right shape. 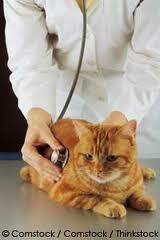 If abnormalities are detected,pet medication, neutering or surgery may be recommended by your vet to protect your pet. Look for these signs. 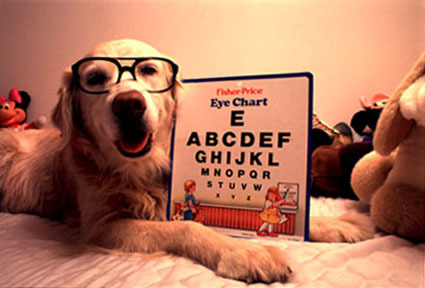 If you find anything abnormal, have your dog checked out right away. You won’t be sorry! Spend you weekend with great music. Listen to our great stations on THE EDGEWATER INTERNET RADIO NETWORK! For years antibiotics have been used to destroy bad bacteria in a pets body. Today lots of veterinarians are looking for ways to promote the growth of good bacteria in a pets body using nutrition. Sherry Sanderson, an associate professor at the University of Georgia says that prebiotics are non-digestible ingredients that are added to the pets diet. When they reach the large intestines, they act as a source of nutrition for those large intestinal bacteria and promote good bacteria to thrive in the large intestine. The good bacteria produce energy for the cells that line the intestines and help with the production of nutrients. One of the most common prebiotics found in pet food is fiber. This is listed on the label as crude fiber or b pulp. Feeding your pet foods that will maintain his health will help you cut back on the cost of pet medication down the road! For great music listen to our internet radio network, THE EDGEWATER INTERNET RADIO NETWORK. Our station, Lindbergh Radio has just switched to a Rock/Alternative format. Our other stations feature golden oldies (Edgewater Radio) Contemporary Country (Constant Country KRS) Soft Rock (Movin Easy Net Radio) Dance and Disco (Dance Fever 54) and adult standards like Sinatra, Tony Bennett, Ella Fitzgerald, Billie Holiday plus classic vocalists from the 40’s 50’s and 60’s. (Starlite 365).